Hot on the heels of a closed alpha test, Bethesda and developer id Software have confirmed plans to host an open beta for next month’s DOOM reboot beginning Friday, April 15. 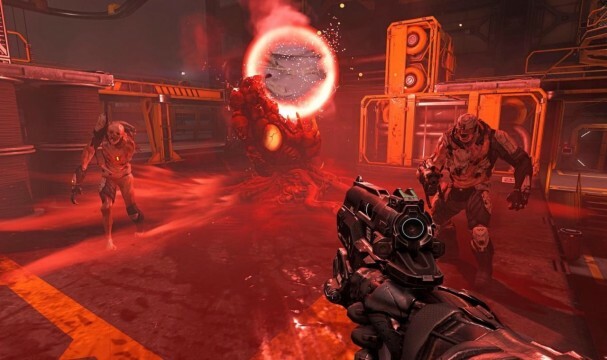 Running through the weekend until April 18, the beta represents the final chance for budding demon hunters to get to grips with id Software’s hellish shooter before its arrival on May 13. Specifically, fans will be able to hop into the Team Deathmatch and Warpath modes across the Heatwave and Infernal arenas. In tandem with the announcement, there’s also news of DOOM‘s first DLC pack. Priced at $14.99/£11.99/€14.99, the add-on will bundle together a trio of multiplayer maps and a plethora of blood-drenched bells and whistles. There’s also a season pass available for $39.99/£29.99/€39.99, and you can get the lowdown of its maiden installment below. DOOM will drop for PlayStation 4, Xbox One and PC on May 13. However, next weekend plays host to the shooter’s open beta test. The only question now is, will you be joining the action?